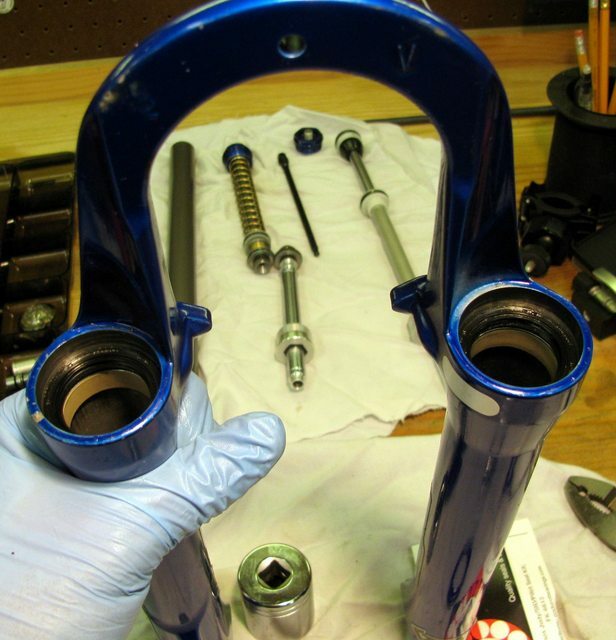 Sti: Marpilli posted a great DIY manual for rebuilding a RockShox SID Race Carbon fork in the forums. Go check it out now! To see the full article, please visit the article in the forums. While I had one of my forks disassembled to replace the bushings, I decided to try painting the lowers a different color. I don't need (or really want) a factory fresh paint job. I just wanted to change up the color to a nice neutral black. I've been using a 30t chainring from Andersen Machine and an inner and outter BBG bashguard to setup a 'bashwich' configuration. Previously, I used an N-Gear jump stop. But, when I bumped it and knocked it out of alignment (which always seemed to be on rooty, technical climbs) my chain would drop. Please click here to visit the Hucking Kitty forum! I wanted to create custom made head badges for a couple of my mountain bikes. There were a lot of good examples when searching MTBR and the internet; but, nothing really stuck me as what I wanted (or that I had the skills to create). I knew I wanted the design to be my MTBR avatar. I decided against a sticker. And I don’t think I have the skill to engrave or cut out something with that much detail. I have a spare fork that I bought awhile back and am just now getting time to overhaul it (2002'ish RockShox SID SL). I noticed it's starting to wear the stanchions at the bushings so I'd like to replace the bushings. But, this is something I've never done. While the bushings are cheap (about $15 for the set), the actual RockShox tools to remove and replace the bushings will cost me over $100 and that doesn't include the parts I can't find (bushing install sleeves). I'm calling it a jig because it's really not a wheel truing stand. I've been wanting something to check the runout on my wheels. And, maybe tackle a wheel building project one day. I had heard about Alumaweld rods and found some on sale at Eastwood for $5.00 shipped. I bought them and put them in my tool chest for some future project. Because of this, I decided to build my truing jig out of square tube aluminum. 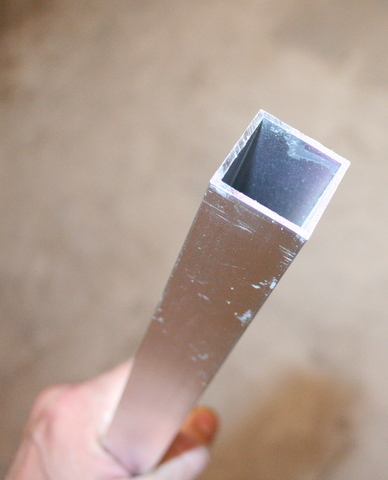 Bought a piece of 1" square tube aluminum (36" long) at a home store for $11 and cut it to size. The blog shows a lot of the step-by-step instructions. I'll just show what I did differently. Achtung, achtung. New forum, with separate login. Read more about Achtung, achtung. New forum, with separate login. As it seems the general industry is leary, of getting on with making carbon SiC rotors and pads, I decided to make my own a while ago. The rotor is machined from a F16 front rotor, the pads are made of a similar material, scavenged from a 747 brake rotor. The last image, is a thermographic image, taken during the the first tests.